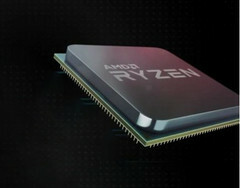 There are two new mid-range and two high-end CPUs. 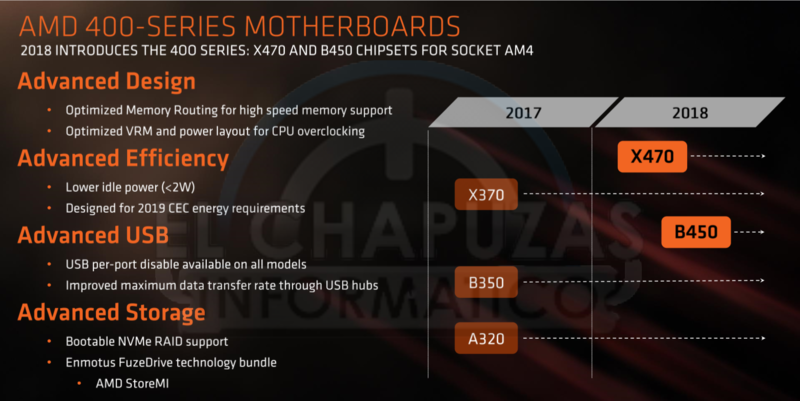 The Ryzen 5 2600/2600X models are set to compete with Intel's i5-8600/8600K processors for a slightly lower price, while the Ryzen 7 2700/2700K CPUs should offer similar performance and pricing to Intel's i7-8700/8700K models. Specs and performance benchmarks for the 12 nm Zen+ desktop CPUs have been circulating around the Net for some weeks now, but the official info was just leaked by Spanish site Elchapuzasinformatico.com. 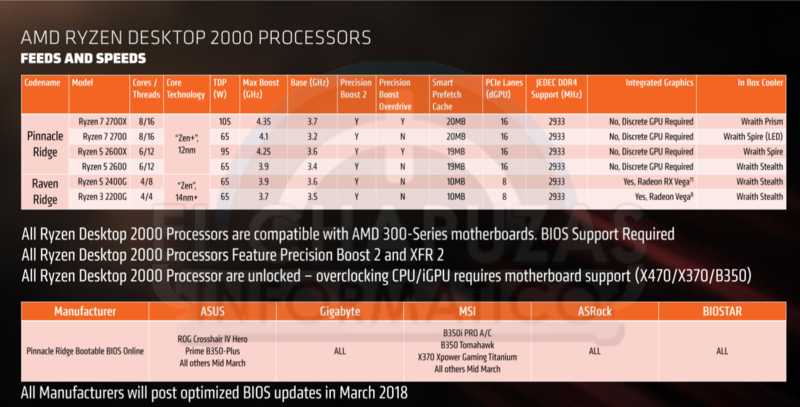 This comes straight from AMD’s official slides that will be made public in late April, together with the launch of the new processors. 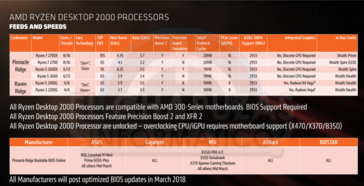 As a transitioning platform between the original Zen and the Zen 2 architecture that will be released in early 2019, The “Pinnacle Ridge” Ryzen 2000 family of 12 nm desktop processors will include two Ryzen 5 mid-range models and two Ryzen 7 high-end CPUs. 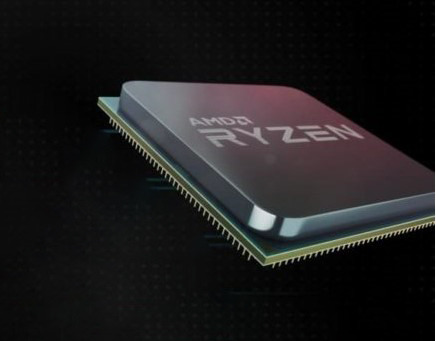 Up front are the Ryzen 7 2700 and 2700X CPUs, which are meant to be direct competitors for Intel’s Core i7-8700/8700K models. Both these processors both have 8-cores/16-threds and come with 20 MB of L2+L3 cache memory, at the same time supporting DDR4 RAM modules running at up to 2933 MHz. What differentiates them are the clocks, the TDP ratings, the bundled coolers, and, of course, the prices. 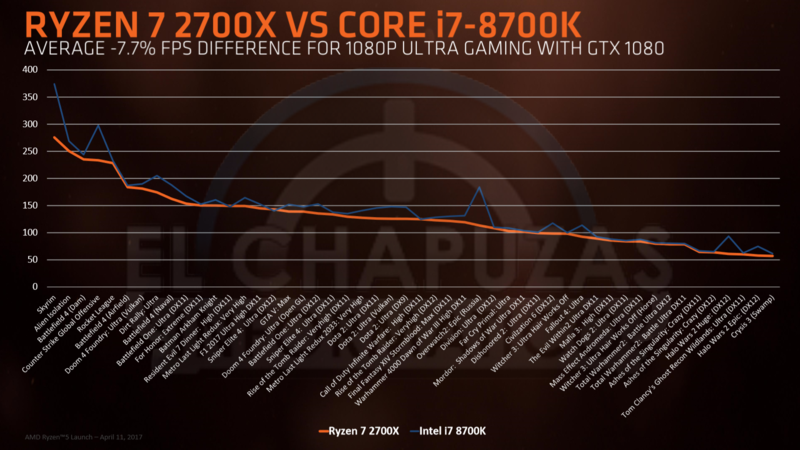 Thus, the Ryzen 7 2700 runs at 3.2 GHz by default (4.1 GHz boost), has a TDP of 65 W, comes bundles with an RGB LED Wraith Spire cooler and will retail for US$299. 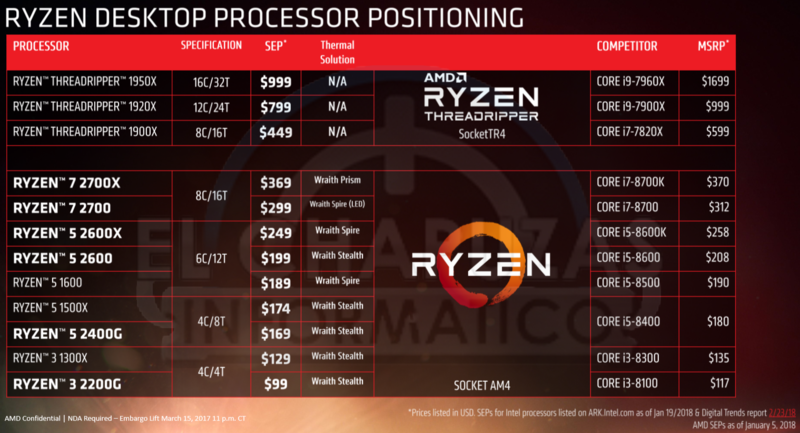 On the other hand, there’s the Ryzen 7 2700X that is clocked at 3.7 GHz by default (4.35 GHz boost), has a TDP of 105 W, includes the Wraith Prism cooler and is set to cost US$369. 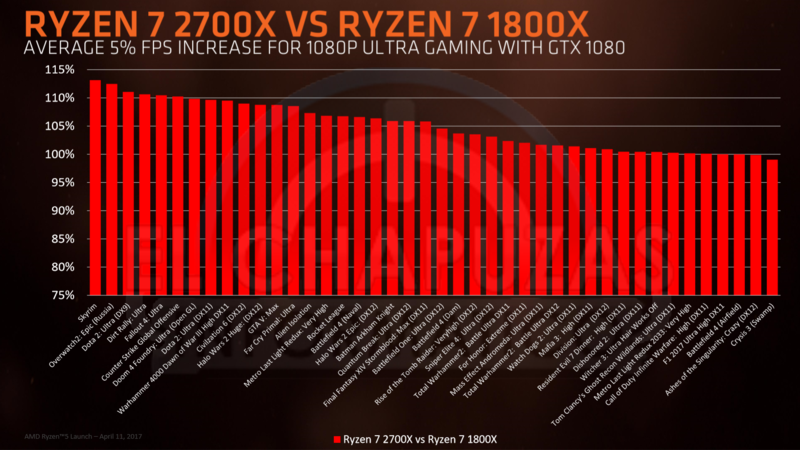 AMD even included some gaming performance comparisons between the new Ryzen 7 2700X, Intel’s i7-8700K and the previous Ryzen 7 1800X. 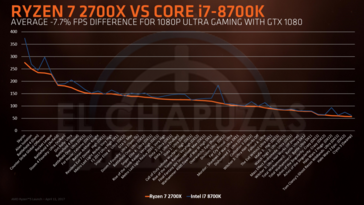 It turns out that the 2700X is around 7.7% slower than the 8700K, while it performs 5% faster than the 1800X. 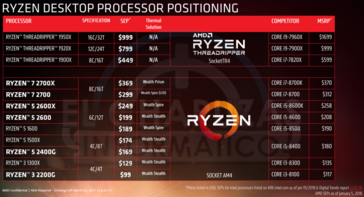 As for the midrange Ryzen 5 2600 and 2600X models, these will go head to head with Intel’s i5-8600/8600K CPUs, but will feature slightly lower prices. Both new models feature 6-cores/12-threads, come with 19 MB L2+L3 cache memory and support up to DDR4-2933 RAM modules. 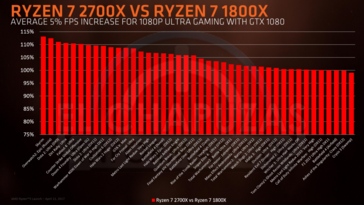 Looking at the differences, the Ryzen 5 2600 runs at 3.4 GHz by default (3.9 GHz boost), has a TDP of 65 W, comes bundles with the Wraith Stealth cooler and is priced at US$199, while the Ryzen 5 2600X runs at 3.6 GHz by default (4.25 GHz boost), gets a 95 W TDP, includes a Wraith Spire cooler, and is set to cost US$249. The official launch date has now been pushed to April 20 (was previously rumored to be April 11).